On the surface, not using any moisturizer may seem like the worst hydration faux pas, but it runs much deeper. While we commend anyone who takes the time to quench their skin's thirst post-cleanse, simply lathering on whichever jar or bottle of lotion is within arm's reach isn't enough—in fact, doing so is the crux of the matter. Instead of buying what your friends are using or whichever product is cheapest, it's important to listen to your skin: what it needs, what it's lacking, and also what it doesn't need. This custom approach to moisturizer is a unanimous rule among top skin experts in the industry, too. For more on this and other must-follow tips for smooth, hydrated, even skin, keep scrolling. "I see many women who used to be oily in the past, but still use the same products even though now they are older and their skin is different (or drier)," says Elizabeth Tanzi, MD, founder and director of Capital Laser & Skin Care and associate clinical professor, department of dermatology at the George Washington University Medical Center. The reason for this may be because you're confusing dry skin with dehydrated skin. According to celebrity esthetician Renee Rouleau, dry skin is lacking oil, whereas dehydrated skin is lacking water. "With the popularity in getting the skin to glow and look dewy and radiant, along with continued awareness on aging smartly, people are choosing moisturizers that include heavy oils and emollients, " explains Rouleau. "After all, the more moist the skin, the more it must help slow down visible aging, right?" Actually, no. "While a rich moisturizer certainly feels like it's doing a good job, getting more oil than the skin needs can lead to clogged pores and potentially increased breakouts. If your skin is truly dry, then yes, oil is what your skin needs, but if you have any underlying oil (example, if you ever get a breakout, even if occasionally), then your skin has oil in there somewhere, which means less oil is needed." Rouleau explains that dehydrated skin will typically display small pores, as they're not dilated like pores that overproduce oil. It's also often irritated because it has a damaged moisture barrier. This skin type needs an emollient moisturizer with ingredients like ceramide, jojoba oil, and/or shea butter to create a protective layer and hold moisture into the skin like Rouleau's Glow-Enhancing Creme ($70). Dehydrated skin is typically "tight" feeling and boasts microscopic triangular fine fine lines due to lack of water to plump the cells. 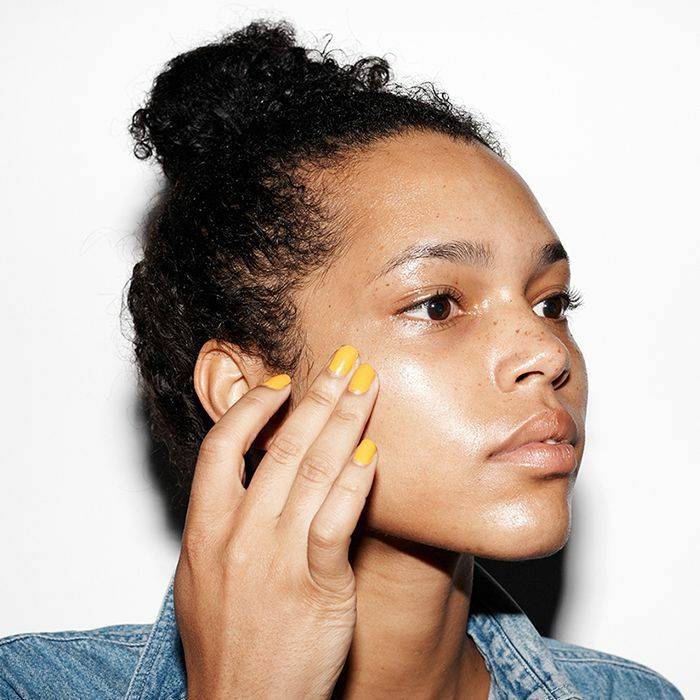 For this skin type, Rouleau recommends moisturizers with hyaluronic acid, sorbitol, and/or allantoin, which pull water in from the environment to hydrate the skin. Try SkinCeuticals Hyaluronic Acid Intensifier ($98). "Your skin should always be cleaned prior to applying moisturizer—otherwise absorption is blocked by normal oils and accumulated bacteria on the skin," says Rachel Nazarian, MD, of Schweiger Dermatology Group in NYC. "Wash with gentle cleanser first, then use a small amount of moisturizer (large goops won't absorb fully either) and then rub in until disappeared." You also only have a 60-second window after washing your face before evaporation occurs, so work quickly to get moisturizer on your damp skin right away to help the product lock into the skin even better. Next up, take a look at the dermatologist-approved way to clear chest acne.